Despite being someone else’s project, it made for a good base: “It came with a fabricated rear frame and a Bonneville tank. Side panels are off a modern Thunderbird and have been filled and sculpted with reproduction ’60s/’70s Trident model plates and decals shaped to fit. There are still a few jobs left to do as Will told us he’d like to get the frame powdercoated and polish up the clutch cover. For only four months build time, and on a budget, we think it’s rather nifty. 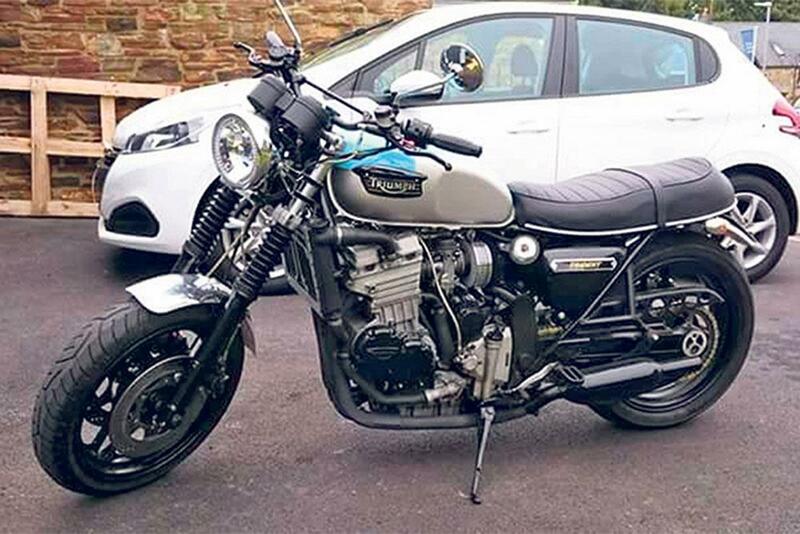 In fact it wouldn’t look out of place among a set of Triumph’s production bikes.